This description of how major change occurs within an individual empowers people by showing how unconscious blocks to change actually operate. Once people know this journey they can take charge of their own transformation if they want to, or plan out the type of transformation that they really would like. 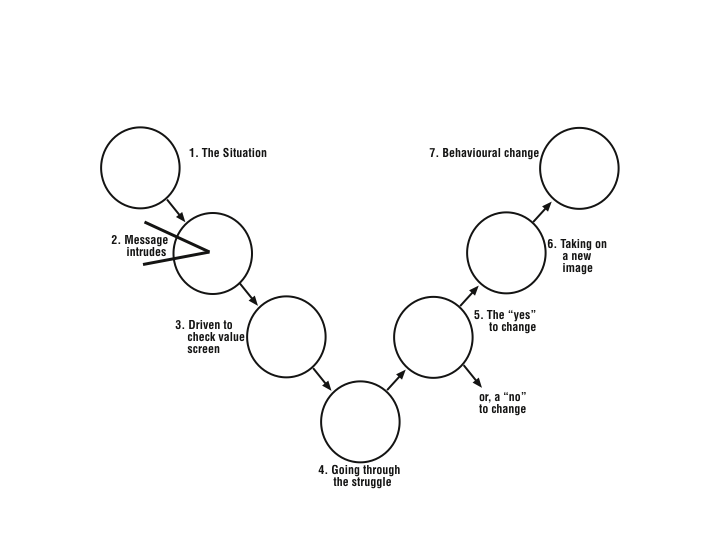 The journey of personal change can be done in a solitary way, or with support, or can be coordinated with, for instance, an organizational transformation. Understanding and grounding the personal change journey takes only a couple of hours, but actually taking the journey might be a dramatic break from the past or it might be a slow transformation over weeks or months.